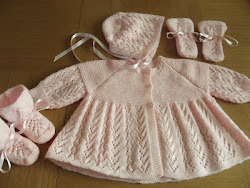 I've finished the Knit Baby Jacket by Yarnspirations Design Studio. 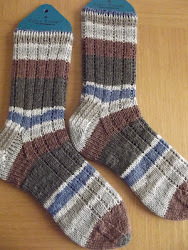 This is a free pattern on Ravelry. I'm really pleased with how it's turned out. 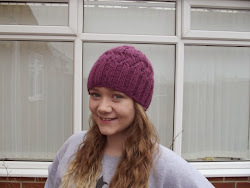 It's knit wholly in garter stitch which makes a squishy fabric so it's lovely and cosy. 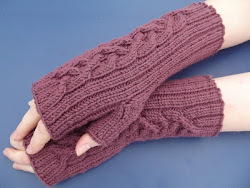 I've used Sirdar Snuggly Crofter which was a dream to knit with, so soft, though I did come across a knot in one place which I always find annoying. The baby is only three months old at the moment but I've knit the 6-12 month size as Eleanor won't be seeing her friend until she comes home again at Easter. It should last her throughout the summer months, I'm sure there'll be plenty of chilly days where she'll need a woolly to keep her warm. It was an easy pattern to follow which I'd recommend. 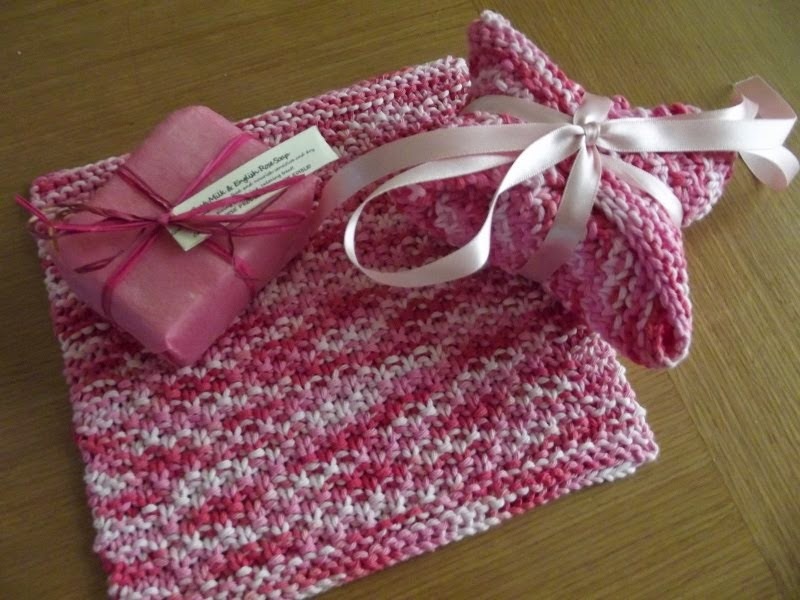 Garter stitch makes a lovely fabric, perfect for babies. I don't think Eleanor's friend has got many people who can knit for her, she's been so appreciative of the little jackets I knit when the baby was born. it looks soft and beautiful. I hate to find knots in my yarn. The yarn combined with the pattern has made a very cosy little jacket. I hate finding knots in the yarn too, I'm thankful it was only the one. 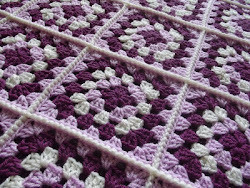 Eleanor chose the yarn before she went back to uni, she wanted something neutral but with a bit of a pattern to it so this was perfect. its lovely! i will be adding it to my to do list. my sister will be having her small one in may! thank you for the recommendation. How exciting having a little one joining the family soon. I can definitely recommend this pattern, it was so easy to knit and has made a lovely little jacket. How sweet! 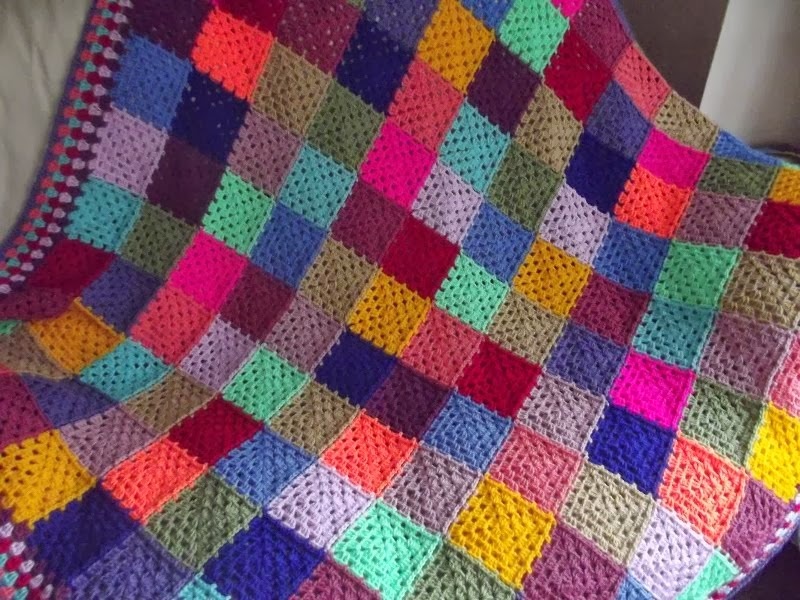 I remember a garter stitch cardigan that my mum made for my first born. I still have it! 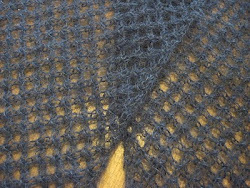 I can't remember knitting anything totally in garter stitch before, it makes a gorgeous fabric for a baby, so soft and squishy. 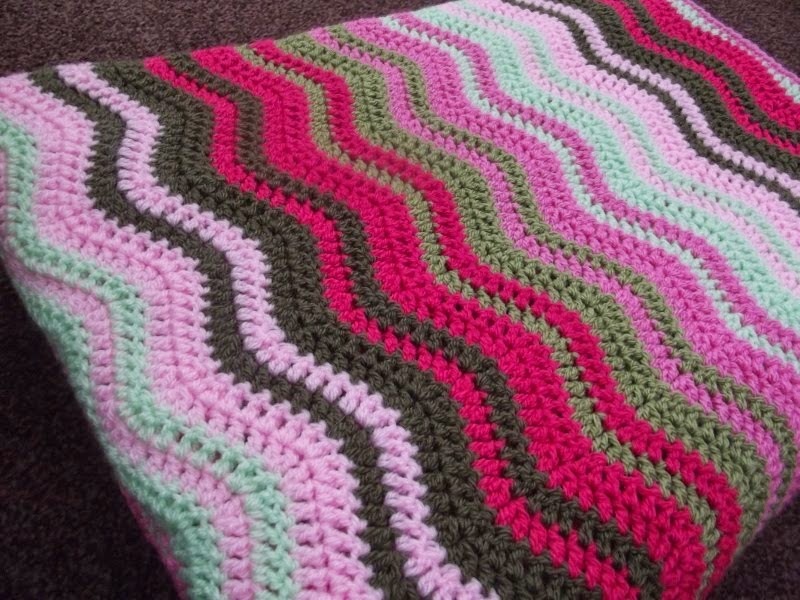 Things can look so different when they're made in a different yarn from the one shown. Eleanor chose this and I think she made a good job, I like how it's knitted up. I think it would be a nice jacket for the winter months as it's so cosy but I think it will gets lots of use during the summer months too. How pretty and such a thoughtful gift. Perfect for those cooler days. Eleanor hasn't seen it yet but I think she'll be pleased and I'm sure her friend will too. And it is the most precious thing!!!!!! It was a lovely pattern to follow and it's made such a cosy little jacket. Really lovely! 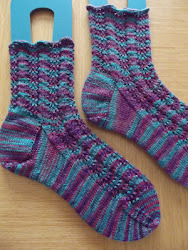 The colour way was a good choice by Eleanor and I'm glad that the yarn knitted up well. I really like the colourway, it's neutral but has a bit of interest with the patterning. 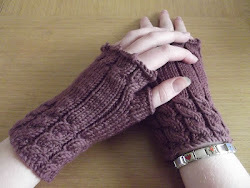 Apart from the knot, the Sirdar Crofter was lovely to knit with. It's so soft and snuggly. 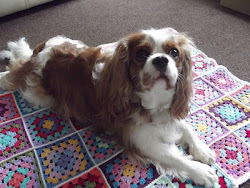 The cardigan is lovely, I do like Sirdar yarn. I've used that colourway for cardigans for the little ones too, as you say it's nice and neutral and will go with anything. 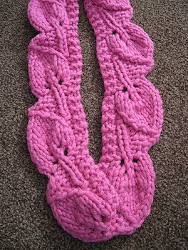 Eleanor chose this yarn and I think she made a good job of it, I enjoyed using it and it's knitted up lovely. cute cute cute. I love that baby sweater! I'm really pleased with how it's turned out. 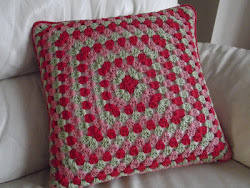 It's a great pattern and very easy too. I sent Eleanor a photo of it and she's happy with it so I'm sure her friend will be too. 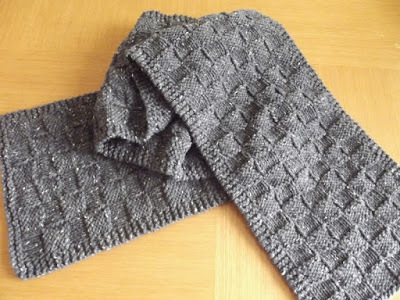 So sweet & so easy in allover garter stitch. 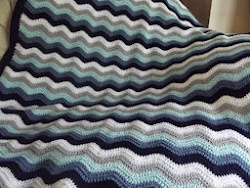 Would be a great pattern when a quick gift is needed. Thanks for sharing & take care. 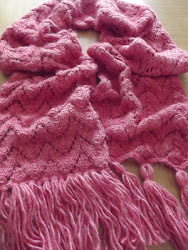 It knit up really quickly and was so easy, a lovely pattern. It's turned out beautifully. 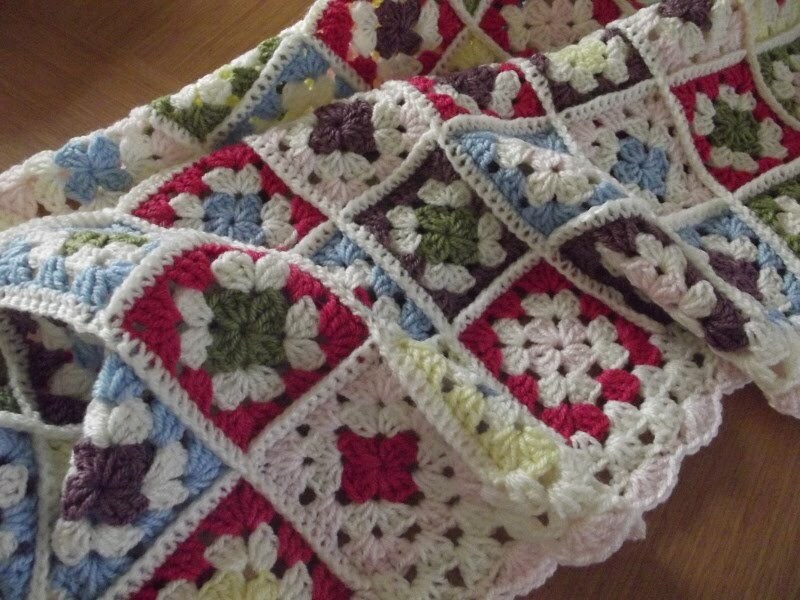 I used the crofter wool a lot when my granddaughter was little, its so soft and pretty. I'm really impressed with the Crofter wool. 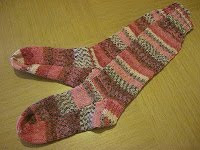 I used Sirdar Crofter when I first started knitting socks on two needles but it's my first time using the baby crofter. So incredibly cute! I'm just about finished a baby hat, my very first baby knit...it's such a quick knit I wish I had more babies to knit for! I'm the same, I love knitting baby garments as they're so quick and so cute but I don't know many babies to knit for. 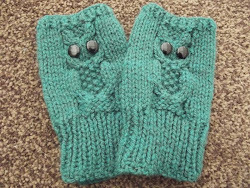 I never knit a thing when my two were babies, something I really regret now. It's really lovely Jo, well done. I'm very pleased with it, I hope the baby's mum is too. Eleanor really likes it so I'm sure her friend will too.